"Sampath Speaking" - the thoughts of an Insurer from Thiruvallikkeni: Mulakkal Balakrishnan, jumps off truck, struck in marsh ~ saved ..
Mulakkal Balakrishnan, jumps off truck, struck in marsh ~ saved .. The ancient kingdoms of South India had perennial rivers, monsoon forests and many elephants. Elephants played a great role in many wars and were treated as a great wealth for the Kingdom. The anthologies and epics of Sangam literature have given heroic admiration to elephants. Elephants are majestic – the special battalion of elephants was sought after … its thick hide would protect from injury ~ the high riding portion gave the rider a good view to attack… this is all about an iconic Temple elephant, that has a FB page and thousands of followers !!! It does give a happy reading as the marathon rescue effort of group comprising more than 200 kind-hearted strangers succeeded in recovering a chained elephant from swamp in the Kerala. The group spent more than 17 hours trying to help the 45-year-old elephant out of chains after it got trapped while trying to escape captivity. The elephant called Mullackal Balakrishnan, had broken through barricades and jumped from a truck, where it was being transported from a Temple in the south Indian state. 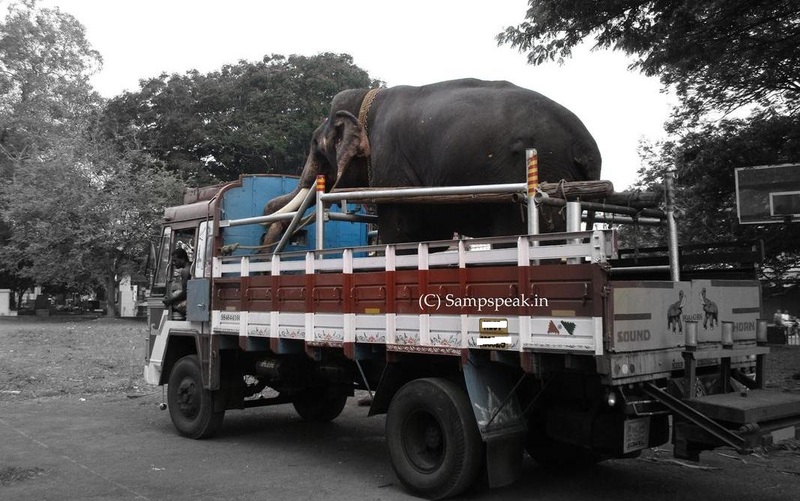 file photo of elephant in a truck. Most of us know that tuskers are seen in almost very temple in Kerala, some individuals too own them. They are named and would have a dollar with its name inscribed too. This tusker named Mulakkal Balakrishnan, who is allegedly in a high testosterone phase, was rescued after 17 hours of tireless attempt. The elephant was found trapped in a mushy swamp near Thuravoor early Tuesday [5th Sept 2017] morning after it ran amok rampaging through the streets of Valamangalam in Thuravoor. The gigantic tusker owned by the Travancore Devaswom Board (TDB), had landed in the marsh after a frantic run through the neighbourhood. The animal was being taken back to Alappuzha after a temple event in Thrikkakara. The rescue hogged prime time news space with channels airing visuals of the hapless animal wallowing in the mud in a desperate attempt to extricate itself from the bog. People all around threw in ropes to secure the animal, thereby creating a criss-cross maze. The ends of the haphazardly thrown ropes were pulled by people from all directions in an earnest effort to save the animal from sinking. It probably was not an organised, best thought out salvage effort –but a very passionate one, exhibiting the love of people for elephants in Kerala. While some media would try to portray the plight as arising out of insensitivity and inhuman cruelty form the bedrock of elephant domestication, love of elephants in Kerala is different – it is a delicate, special relationship between man and pachyderms. One has to see to believe the love and affection, the owner and the mahout would have for the mammoth and the special relationship that gets shared – man could sleep happily without worry putting his head on the anvil before the animal’s powerful fore legs. In what could be a scene from a picture, in the wee hours of Tuesday, Mullakkal Balakrishnan perhaps sensed that the lorry in which he was being transported had stopped on the road. After waiting for a few minutes, he decided to jump off the lorry, and ran amok. An hour later, he fell into a marsh and has been trapped in it ever since. Transportation by lorry is nothing new for the elephant, owner, driver or for teh locals. They stand nonchalantly in trucks slightly modified for coverage loaded with greens that they eat enroute. 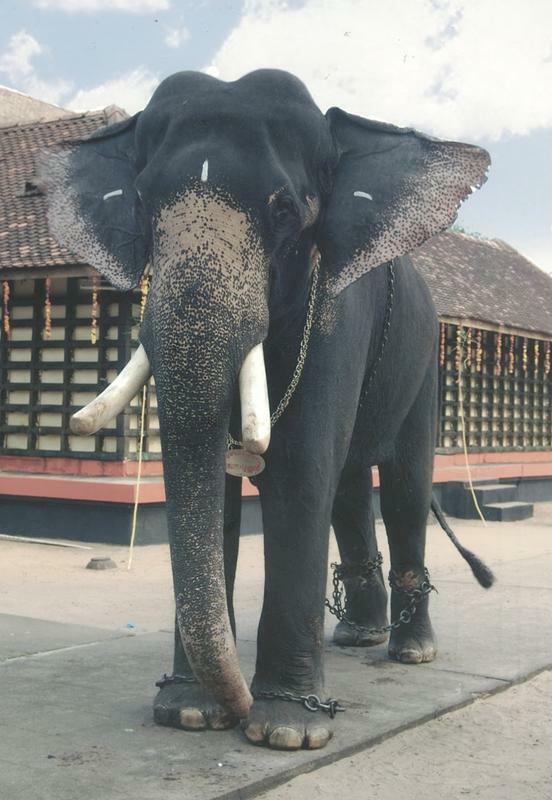 Balakrishnan is a tusker owned by the Mullakkal temple under Travancore Devaswom Board in Alappuzha district, and the locals, mahouts, police, Devaswom representatives and officials of the forest department made their best to save the iconic elephant, who is a cult hero, though had behaved arrogantly more than a couple of times earlier. The escapee ran amok and fell into a marsh in what is described as avery secluded area with very less connectivity. During the time, it was unable to move, it was fed glucose and other food items to keep it hydrate – but for sure would have been stressed to a great extent. It is stated that mid-journey, when the crew stopped for chai, the elephant jumped out of the truck, very unusual, ran amok, could not be traced for an hour or more, then found its way in a marsh, struck. He was first donated to Paramekkavu temple in Thrissur. 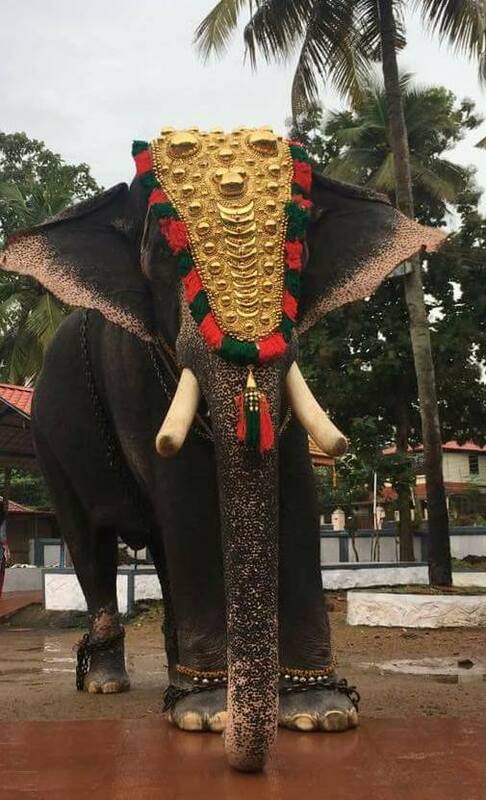 But during 1979, this pachyderm ran amok during 'Parayezhunnallippu' for Thrissur Pooram festival near Thiruvambadi Temple and destroyed house property. Later, the Paramekkavu Devaswom sold this elephant and later was donated to Mullackal temple. The incident occurred nearer Valamangalam on NH 66, and he reached Ananthankari, a waterlogged area, getting trapped in a marsh. Around 30 mahouts from the Devaswom Board were called in to save the animal. They used various methods to encourage him to heave himself out of the swamp and was eventually saved. He will remain at Anandankari village near Thuravoor till the veterinary doctor of forest department confirms that the tusker is fit enough to be transported to Mullackal in Alappuzha.